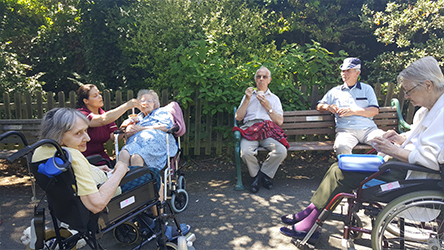 Number of residents and staff members visited the local Grove park and enjoyed the sunny and warm weather. They relaxed in the surroundings of water features and Jill’s garden in memory of TV presenter Jill Dando. The day presented a quiet and calm atmosphere and all they all cool them down with refreshments from the local cafe.